What is the Florida law for hit and run accidents? As a Jacksonville criminal lawyer, I represent people that have been accused of leaving the scene of an accident. A hit and run car accident is charged under the Florida leaving the scene of an accident law. This is a criminal law under Chapter 316 of the Florida Statutes. This law encompasses all types of hit and run charges. The charge may range from a felony to misdemeanor crime based on the injury involved. The elements of the crime are all the same. The injury increases the crime and the penalty. Let’s begin with the most basic hit and run charge. 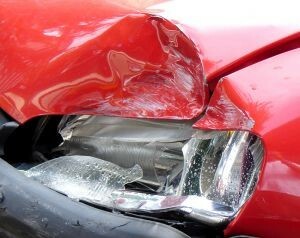 Leaving the scene of an accident with property damage is a misdemeanor. You may be issued a Jacksonville traffic ticket for this, but be aware that it is more than a civil infraction. It is a crime in Florida, and you should speak with a Jacksonville criminal attorney about the charge. The driver of any vehicle involved in a crash resulting only in damage to a vehicle or other property which is driven or attended by any person shall immediately stop such vehicle at the scene of such crash or as close thereto as possible, and shall forthwith return to, and in every event shall remain at, the scene of the crash until he or she has fulfilled the requirements of s. 316.062. A person who violates this subsection commits a misdemeanor of the second degree, punishable as provided in s. 775.082 or s. 775.083. The driver of a vehicle involved in a crash occurring on public or private property which results in injury to a person other than serious bodily injury shall immediately stop the vehicle at the scene of the crash, or as close thereto as possible, and shall remain at the scene of the crash until he or she has fulfilled the requirements of s. 316.062. A person who willfully violates this paragraph commits a felony of the third degree, punishable as provided in s. 775.082, s. 775.083, or s. 775.084. The driver of a vehicle involved in a crash occurring on public or private property which results in serious bodily injury to a person shall immediately stop the vehicle at the scene of the crash, or as close thereto as possible, and shall remain at the scene of the crash until he or she has fulfilled the requirements of s. 316.062. A person who willfully violates this paragraph commits a felony of the second degree, punishable as provided in s. 775.082, s. 775.083, or s. 775.084. A man was hit by a car that drove off while crossing Blanding Boulevard in Clay County Monday evening, according to Florida Highway Patrol. Authorities said the victim was taken to UF Health with life-threatening injuries…. Police have arrested Eric Kenneth Roenisch. 37, in connection to this crime. He is being charged with leaving the scene of a crash resulting in serious bodily injury/death and driving while his license was suspended, and grand theft, according to FHP. Assuming that the man that was hit by the car survives, the defendant will likely be charged with leaving the scene of an accident with serious bodily injury under the law quoted above. The driver of a vehicle involved in a crash occurring on public or private property which results in the death of a person shall immediately stop the vehicle at the scene of the crash, or as close thereto as possible, and shall remain at the scene of the crash until he or she has fulfilled the requirements of s. 316.062. A person who is arrested for a violation of this paragraph and who has previously been convicted of a violation of this section, s. 316.061, s. 316.191, or s. 316.193, or a felony violation of s. 322.34, shall be held in custody until brought before the court for admittance to bail in accordance with chapter 903. A person who willfully violates this paragraph commits a felony of the first degree, punishable as provided in s. 775.082, s. 775.083, or s. 775.084, and shall be sentenced to a mandatory minimum term of imprisonment of 4 years. A person who willfully commits such a violation while driving under the influence as set forth in s. 316.193(1) shall be sentenced to a mandatory minimum term of imprisonment of 4 years.